The Therma-a-Rest success story began in 1971 when co-founder John Burrough had the idea to develop a camping mat that was both comfortable and practical. As an experienced mountaineer he knew exactly what he was talking about. He took his two friends and fellow climbers Jim Lea and Neil Anderson on board and together they founded the company Cascade Design. In 1972, they developed the first camping mat and called it “Therm-a-Rest”. They patented the invention and many other innovations and awards followed. Today, Cascade Design's Therm-a-Rest brand is a world leader in comfortable outdoor products such as camping mats, sleeping bags, field beds, hammocks and seat cushions. With a Therm-a-Rest mattress, you don’t need to compromise on comfort or sleep while enjoying nature. By fusing science and innovation, Therm-a-Rest is an industry leader in high-quality comfort, with a commitment to making your time outdoors as fun and as productive as possible. Therm-a-Rest’s dedicated and passionate team shares an understanding that being outdoors is an essential part of life and the right amount of comfort enables you to feel at your best, whether you are sharing a picnic with friends or striving to reach new goals on life changing expeditions. In 1971, three engineers and keen climbers had an idea – to make it more comfortable to sleep on the ground when out in nature. Jim Lea, Neil Anderson and John Burroughs were experienced adventurers and they knew that long days out climbing were made more challenging by not having a good night’s rest. Thus they created the first self-inflatable air mattress that would revolutionise the outdoor world, a product that continues to be used around the world today. 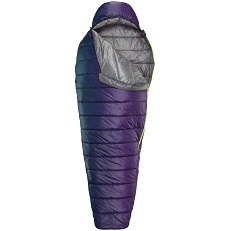 On the Addnature.co.uk website, there is a comprehensive range of Therm-a-Rest pads/mats and mattresses for excursions and expeditions out in nature. They are as suitable for professional adventurers as for amateurs. No matter your level, one of the most important factors to ensure a successful time in the great outdoors is a decent night’s sleep. It can make the difference to being able to continue successfully on your expedition and, above all, enjoy it to the max. With so much to see and experience out in nature, you can make sure that you are on top form with Therm-a-Rest products at your side.